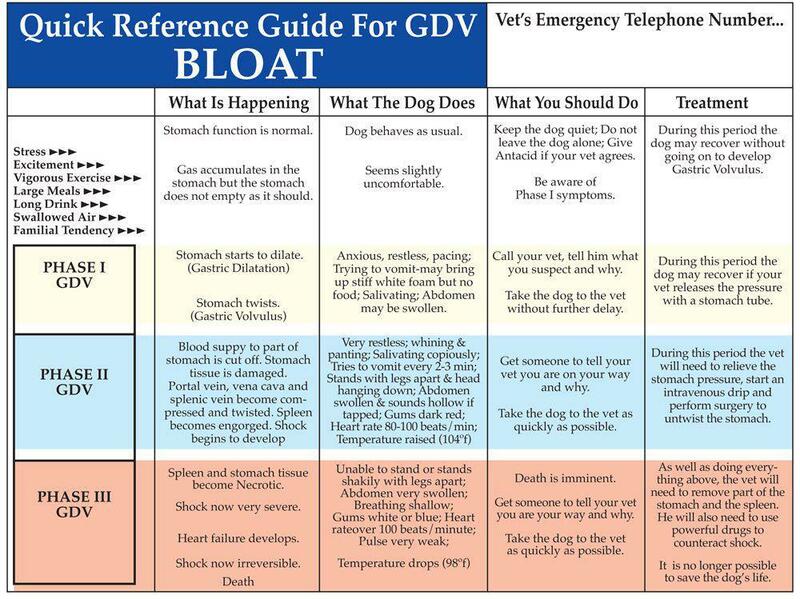 Bloat is an emergency condition and is life threatening to your dog. Veterinary attention is required ASAP to save your dogs life. Bloat is also known as gastric dilatation and volvulus, or GDV. Bloat is a condition where the stomach twists and fills with gas. 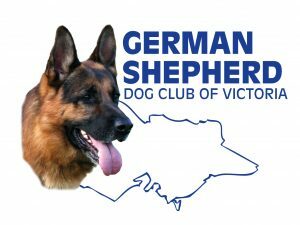 In a short space of time, the dog’s stomach becomes distended with gas and puts pressure on the diaphragm, which can cause breathing problems. Additionally, the pressure cuts off the return blood flow to the heart. The extreme pressure within the stomach can cause tissue to die leading to stomach rupture, and sometimes the spleen twists with the stomach, which results in damage to splenic tissues as well. Treatment: Take your dog to the vet (or emergency vet) ASAP. Minutes can make a difference, don’t wait until morning!